Want to feel close to nature? Why not then bring nature to your home by these easy and convenient ethereal DIY pieces of furniture. These tree inspired pieces of wood will bring out the natural side of your home, making you feel one with the aesthetic beauty of outdoors. 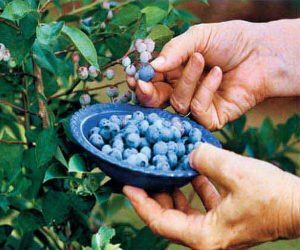 It is a wonderful way of incorporating and appreciating natural beauty in your everyday life. 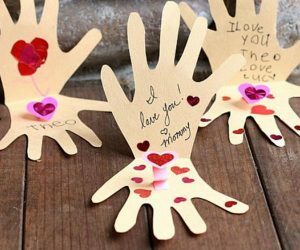 These DIY ideas are not only easy to obtain but are also very catchy to look at. 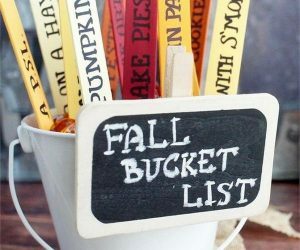 This collection of Fabulous DIY tree inspired furniture ideas employ supplies that can be easily found in your own backyard. 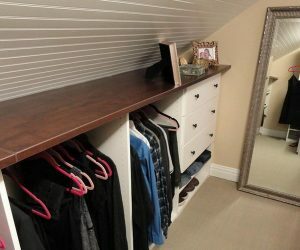 You will get the inspiration to turn wood into beautiful coat racks, vintage frames, bookshelves, tables, bed, benches and much more. With the number of books lying around you now have the perfect storage book shelf. This interesting tree branch bookshelf will not only give your room a natural aesthetic decor but will also provide you plenty of room to store your books with its several gold design. source. A tree inspired bookshelf, that not only keeps your books at bay but also gives a quiet,calm and natural ambiance to your room. It is a definite classical fusion of art, nature and carpentry. A must have for nature lovers! zelfmaakideetjes. 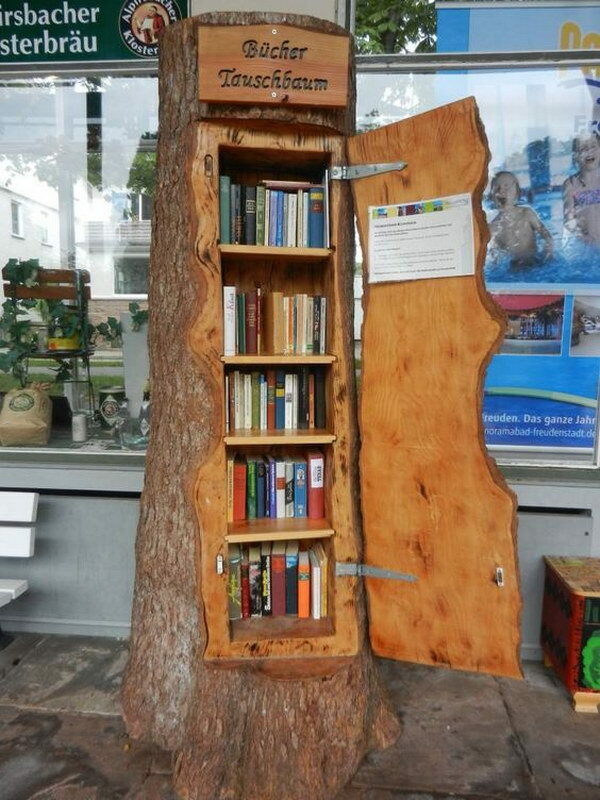 This tree trunk shaped bookshelf is the perfect cross between knowledge and nature. 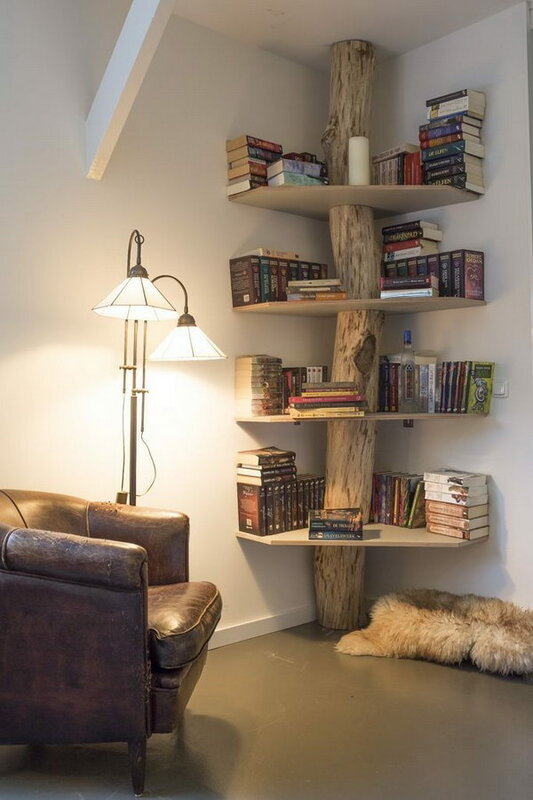 It not only has room in it to hold plenty of books but it also gives a natural affect to the decor by its tree inspired exterior! amandaonwriting. This recycling nature inspired project is what every creative freak will look for. 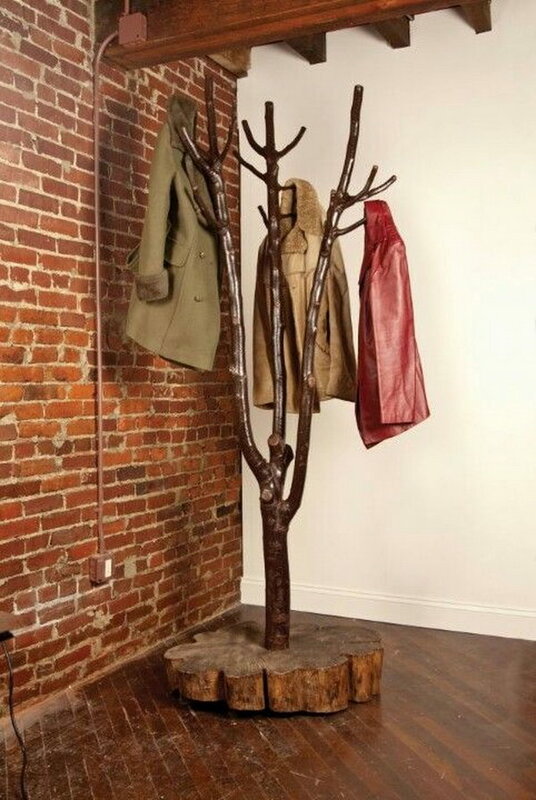 Just the right branch of the right height and you have a coat hanger to yourself. Creativity and nature fused in one! DIY instructions via adesignerlife. These small tree inspired tables not only hold beauty in their intricately carved shapes but are also very handy and portable to move. These tables not only serve to enhance the natural outlook of the space but are also very helpful in everyday tasks like holding flower pots, decorative ornaments etc. nordichouse. 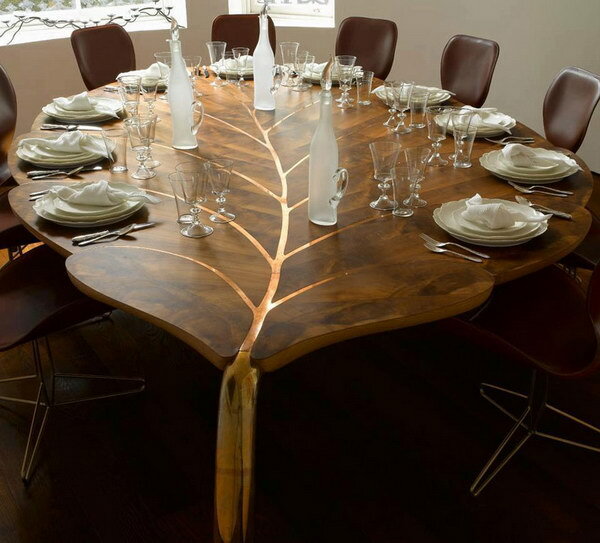 How do you feel about having a giant leaf inspired table in your dinning room? 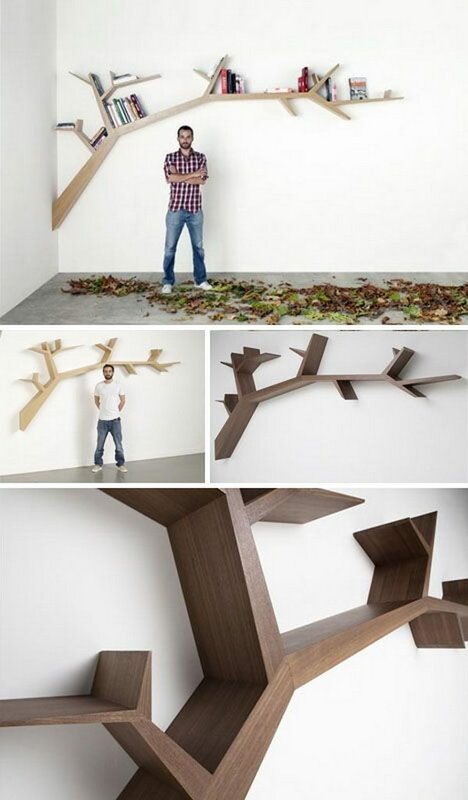 This amazing piece of furniture is definitely an artist’s work. Inspired by nature, it will bring to your home a beautiful ethereal affect. imgur. 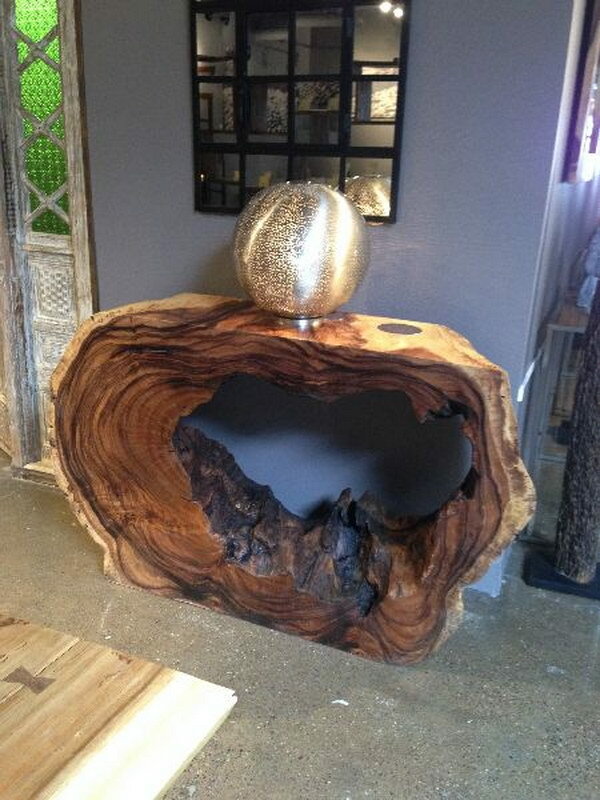 This wood console is as close to nature as you can get with a piece of furniture. It is carved out of a huge tree stump and is a very good item to keep decoration pieces etc on. canadianhometrends. This piece of furniture is not only fascinating to look at but also has room for quite many books. 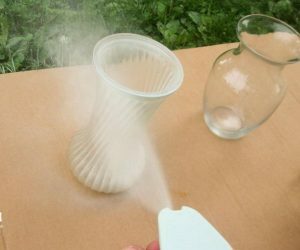 It will surely give your place a nice ethereal look. 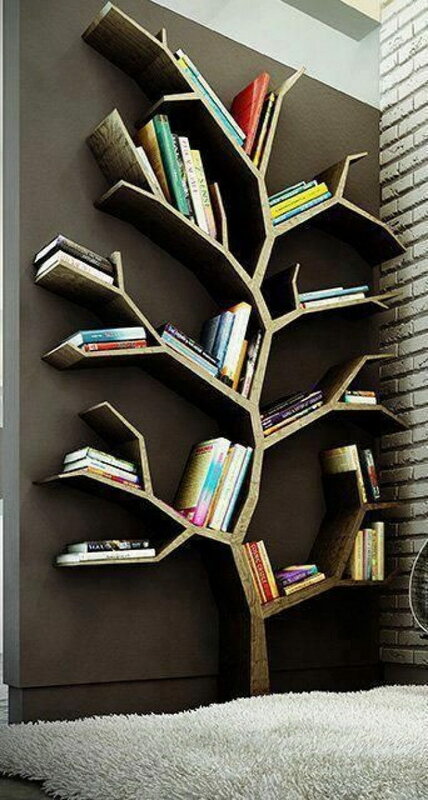 This tree bookshelf doubles as the beautiful and functional wall art for your home! thisiswhyimbroke. The entrance door of the house is the first object that speaks of the lifestyle and taste of its owner. 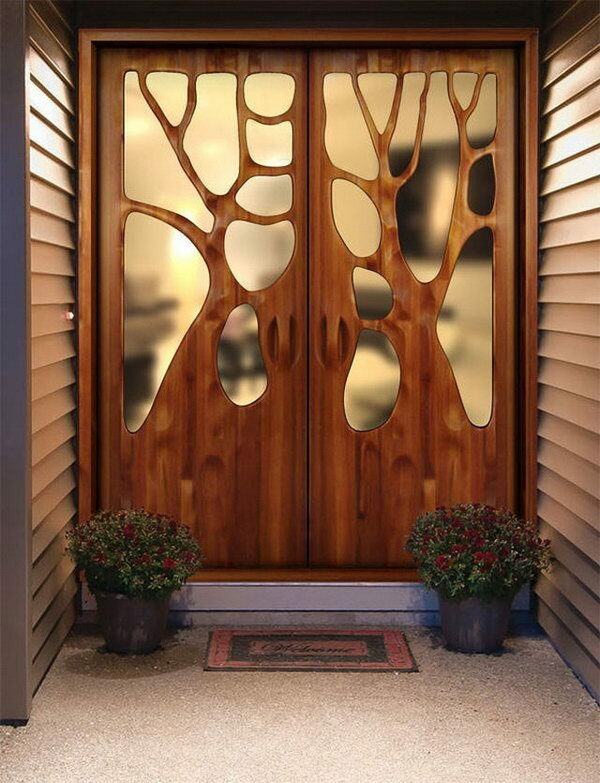 This beautiful tree branch inspired door is a must have for every nature lover. 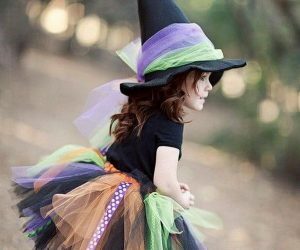 It will definitely be an amazing addition to your house. goodshomedesign. This nature inspired bed takes interior decor one step ahead with its raw natural look. 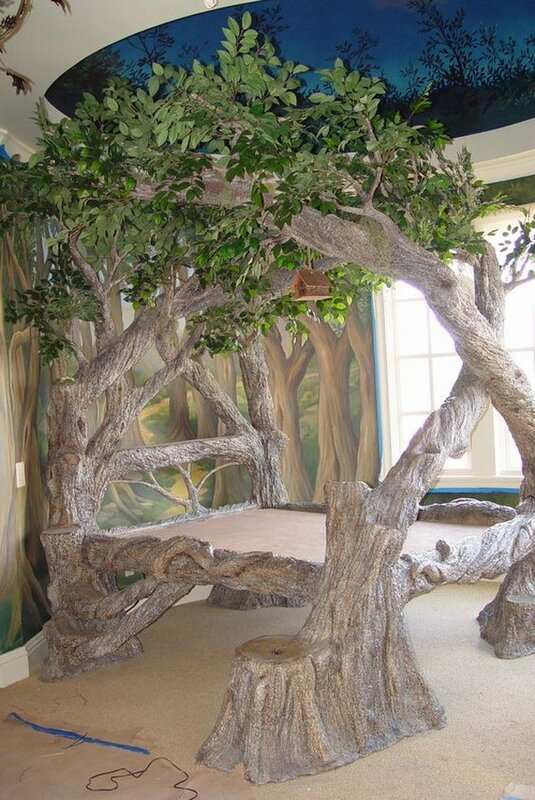 This piece of artistic furniture is a dream come true for any nature crazy fan. If you are looking for a breathtaking addition to your vintage decor, then these vintage tree branch frames are exactly what you need. A mix of nature and vintage creativity awaits your room with these beautiful frames. thisiscolossal. 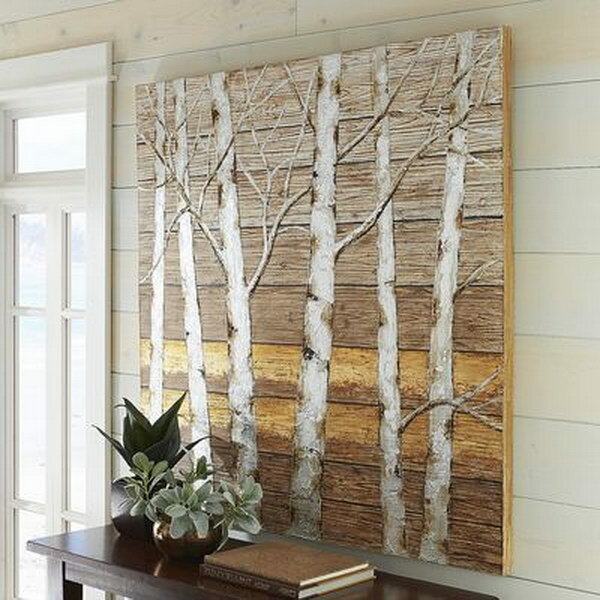 This metallic birch tree wall art can totally be described as a nature inspired masterpiece. 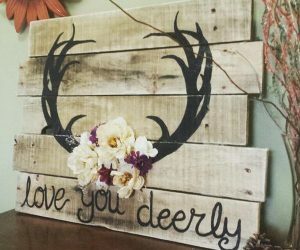 This will not only give your wall an individuality of its own but will also highlight the nature loving aspect of your personality. pier1. 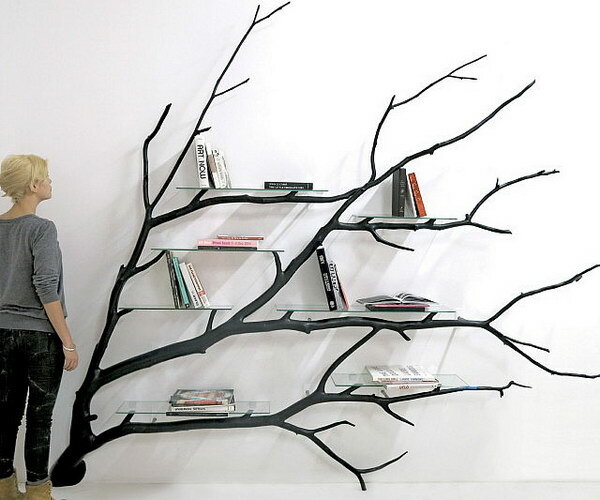 For all the book worms who are equally into nature this bold branched bookshelf is a must have. It’s several fold design provides a large surface area to hold books and it’s beautiful construction will definitely bring a natural affect to your room. dornob. This beautiful wooden piece of creativity is made of reclaimed cedar trump along with a natural edge wood top. 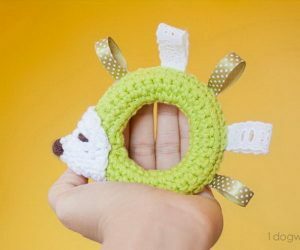 It will definitely be a promising addition to your nature inspired house decor. These stunning cocktail tables made in acrylic and wood are what we call the perfect eye-catching piece of furniture. 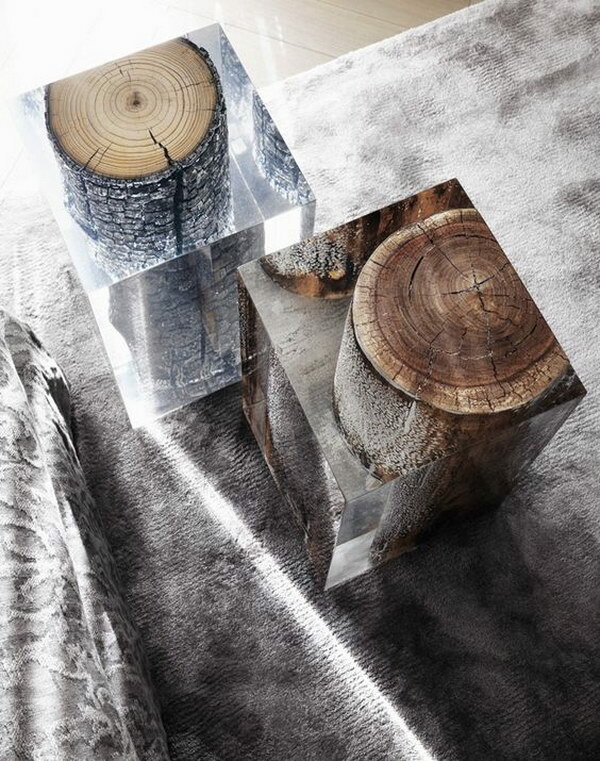 These have wood embedded in beautiful transparent blocks that gives them an icy look. 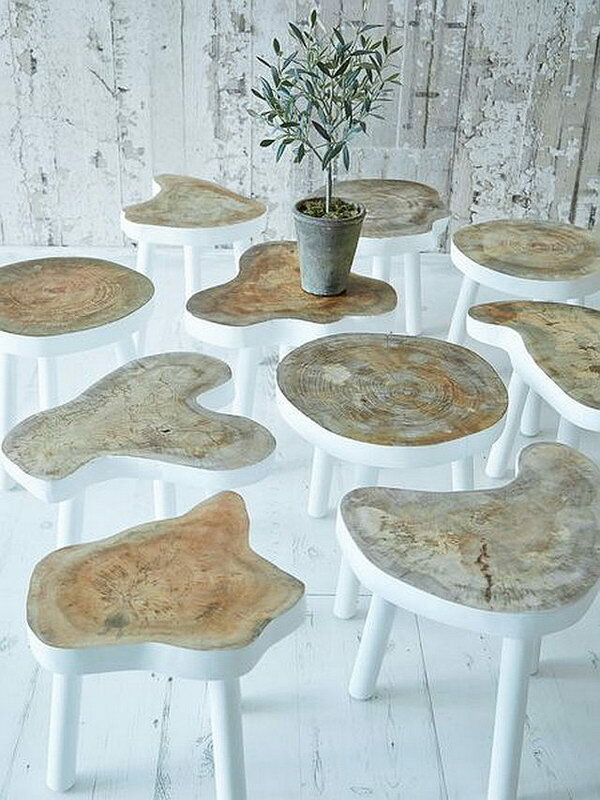 These tables are a must have for every nature lover. tempodadelicadeza. If you are looking for some heavy nature inspired piece of furniture then this beautiful white wood bed is just the right thing for you. 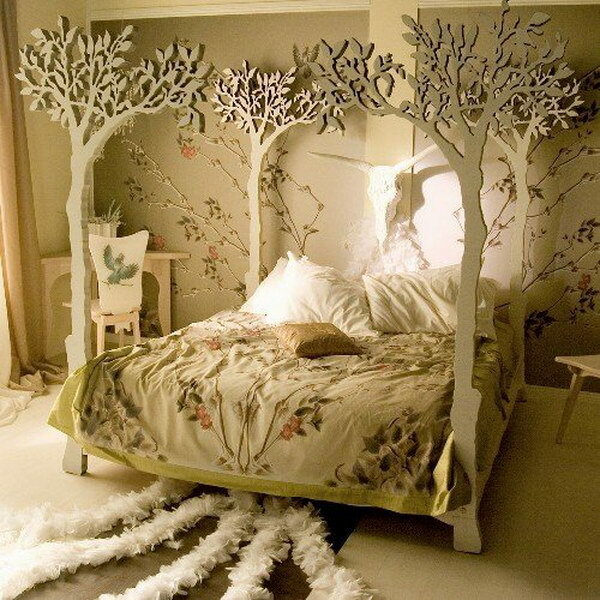 Other than being spacious and beautifully carved it will provide a subtle and sublime air to your bedroom. apartmenttherapy. 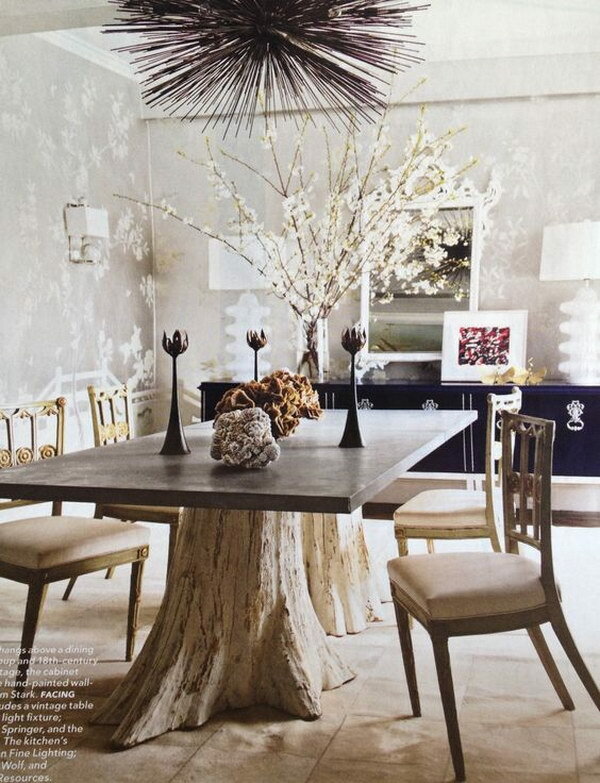 This tree trunk inspired dinning table is yet again an eye catching piece of creativity with its raw and edgy look. 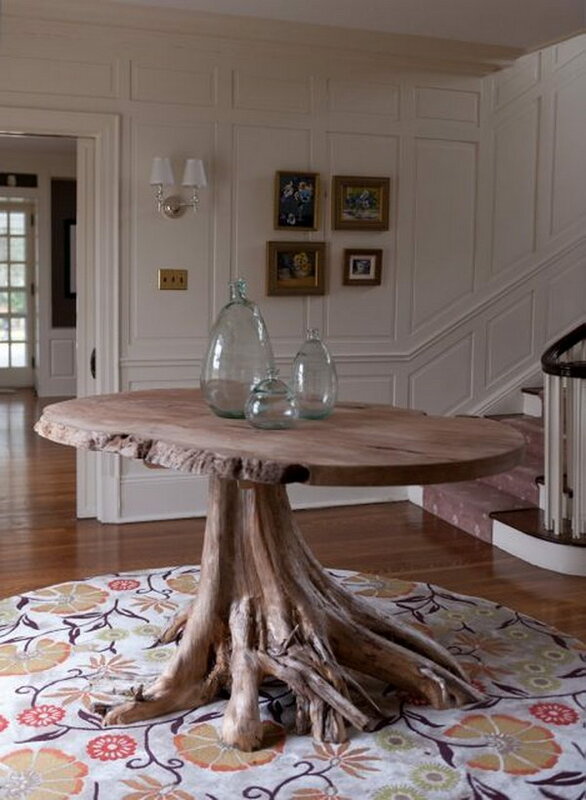 This dinning table will bring out the raw and natural side of you and reflect it in your decor. Made out of a raw cut wooden base and a polished wooden top, this is indeed a must have piece!source. The perfect chandelier is what every room requires. 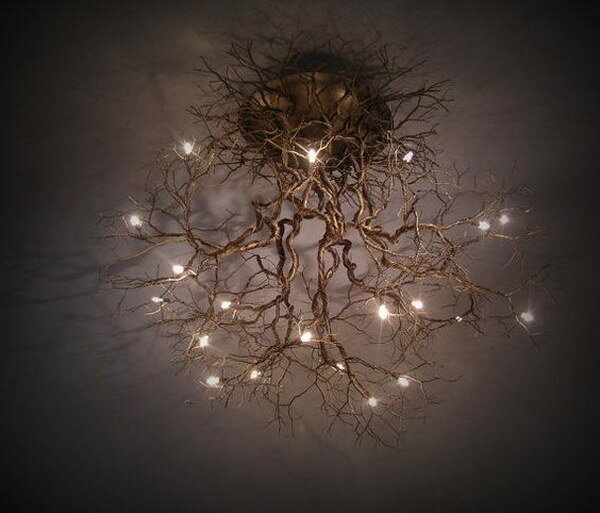 This beautiful chandelier inspired by natural tree roots will definitely take up the centre stage in your room decor. trendhunter. 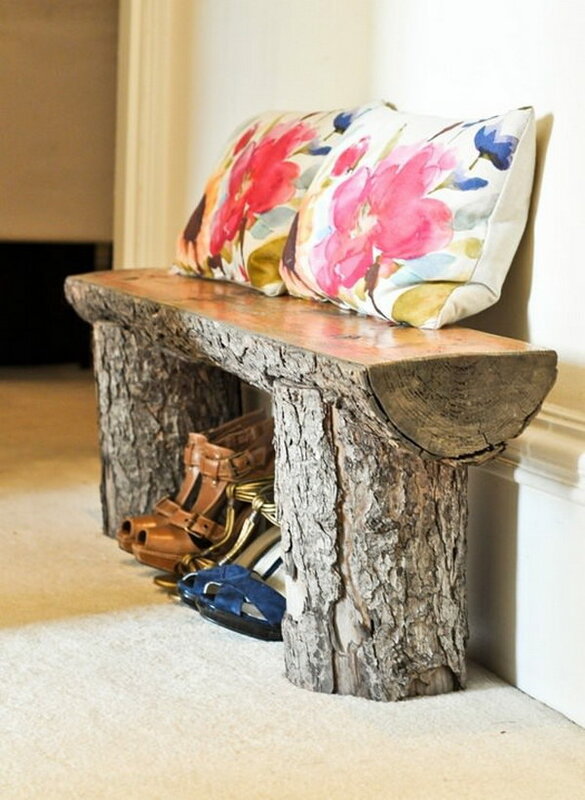 This tree inspired bench is simply amazing! It will not only add a raw natural look to your room but will also serve as a handy piece of furniture to sit on. 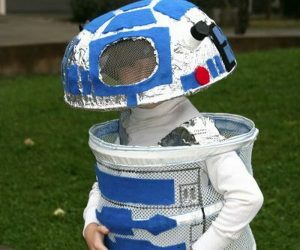 And on top of that it is a recycle craft which makes it even more interesting! recyclart. 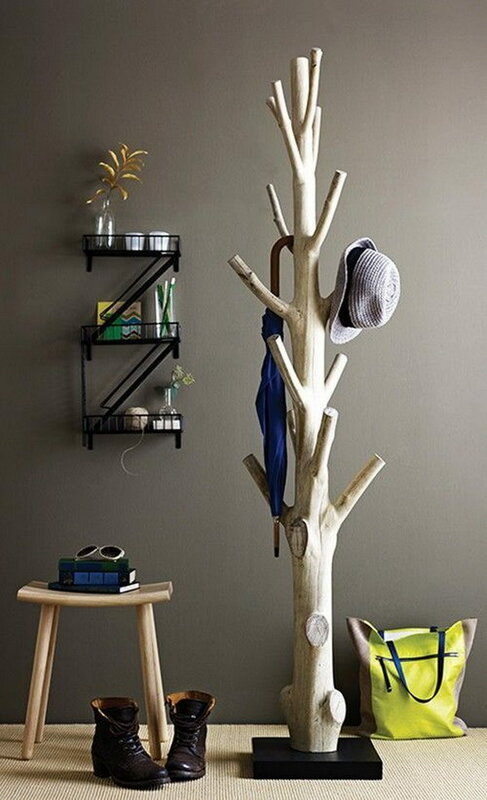 This tree shapes coat rack is definitely the perfect example of simplicity and sophistication. Made in a simple tree inspired outlook this piece of furniture is equally handy in holding your clothing items and giving your living space a raw ethereal look. source.